Oh no, not again I here you sigh after seeing the title. No, this is different. Last night I had the absolute pleasure of trying their a la carte menu. Now you know that I rate this restaurant very highly, with their tremendous dim sum a reason I keep going back. However, after last night, it has gone from being a very good restaurant to being excellent. Why? The food. I chose to sit outside to enjoy the glorious weather and sumptuous views of the Sheikh Zayed mosque. While the view I had at Afya (previous post) was obstructed, the view I enjoyed last night was perfect. Dining al fresco during November and December in Abu Dhabi is something very special. There is a freshness in the air, a buzz and even a hop in the steps of the service staff. One of the things you have to do in Abu Dhabi is dine outside. A sheer delight. There must, after all, be some reward for enduring 9 months of torturous heat. 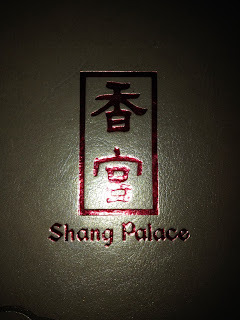 Shang Palace offers two options: a selection of set menus which vary in courses and obviously price, as well as the standard a la carte options. 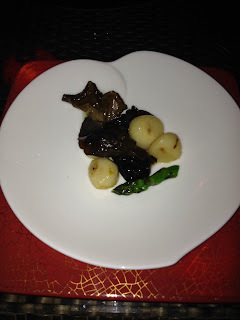 I opted for something more modest and went with the asparagus, water chestnut and macadamia starter. This dish was an advertisement for the virtue of subtle seasoning and light cooking. 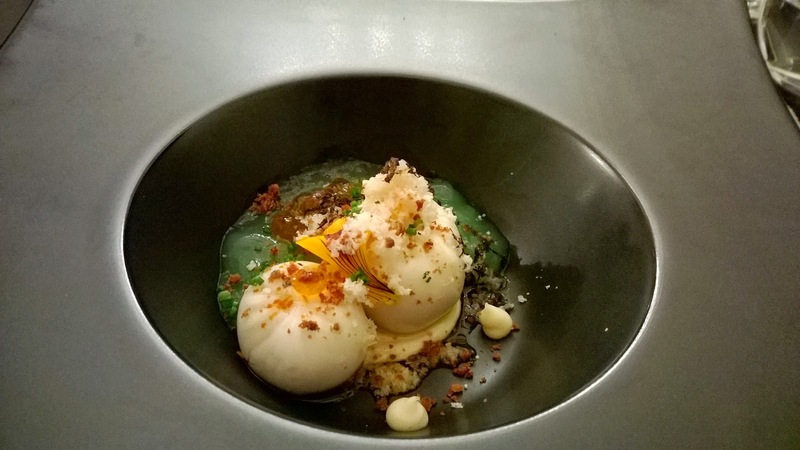 It was easily one of the best single moments of culinary joy I have had in Abu Dhabi. It was a dish of opposites, contrasts. The supremely light chestnuts which broke so easily as I bit into them, went up against the crunchy lightly fried macadamia and on this occasion it was not about winning. It was about coming together in a lightly salted sauce to mesmerise the mouth. 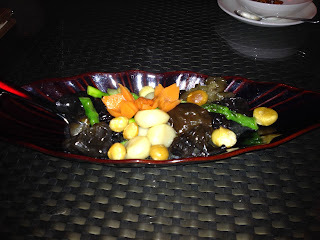 The black fungus meanwhile was chewy while the asparagus, cooked for just right length of time, offered a bit of both. Truly memorable. How do you top that? 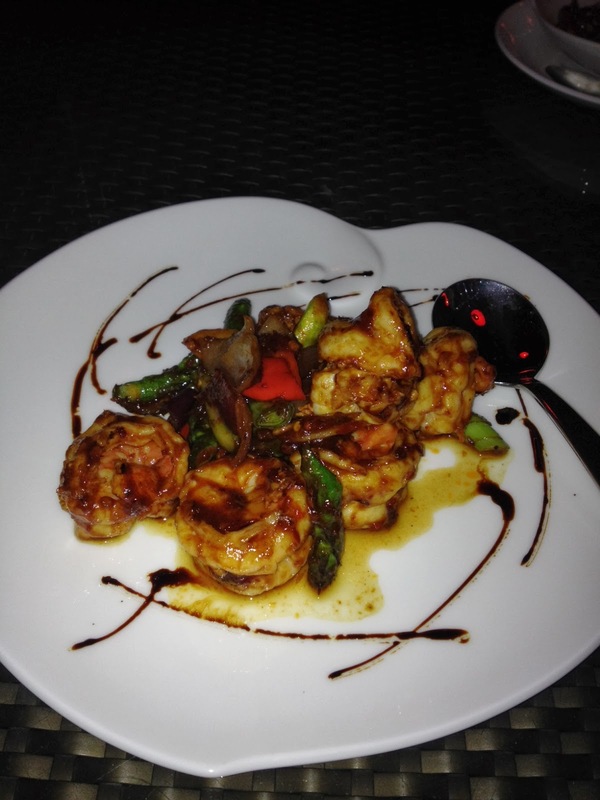 I followed one of the waiting staff's recommendation and chose the Sichuan style king prawns. I was expecting this giant prawn with the shell in-tact and a bowl of water and lemon on the side. I was pleasantly overwhelmed when I saw they had already been peeled. 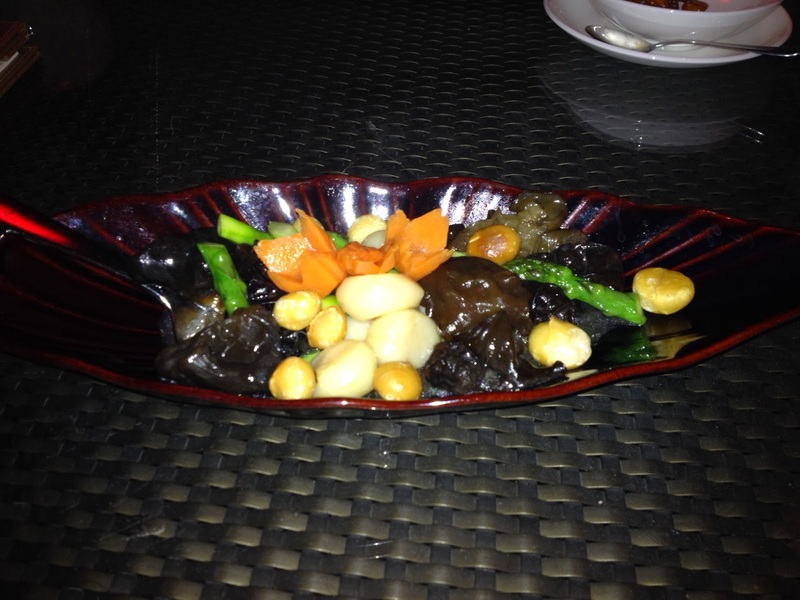 Another taste delight awaited me. Perfectly wok-fried in scallions, ginger and asparagus, it was a superb follow-up to my starter. Finally, dessert had a to be a choice that did justice to what up to that point had been a fine evening of dining. Kudos to one of the staff who, after asking if I wanted to try something traditional, suggested the avocado dumplings in date soup. Having had the white fungus in date sup on my last visit, this seemed fairly predictable, except for the avocado dumpling. To describe it as a dumpling is a bit of a misnomer. It was more like a cross between mochi, a Japanese rice cake made from glutinous rice and a dumpling. So, how was it? It was a fitting end. Forget the combination which on paper sounds so strange. Open your mind to unexpected pleasure as the sweet, cold soup was followed by a bite of the avocado dumpling. I loved it. The 'tea master' enhances my evening experience. My evening was enhanced by the addition of a 'tea master' - I am sure that is not his title. After all, he does not actually make the tea. 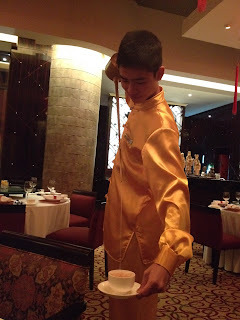 Be that as it may, tea was poured in a very theatrical way by the newly arrived tea 'master' from Sichuan. It is something to behold. 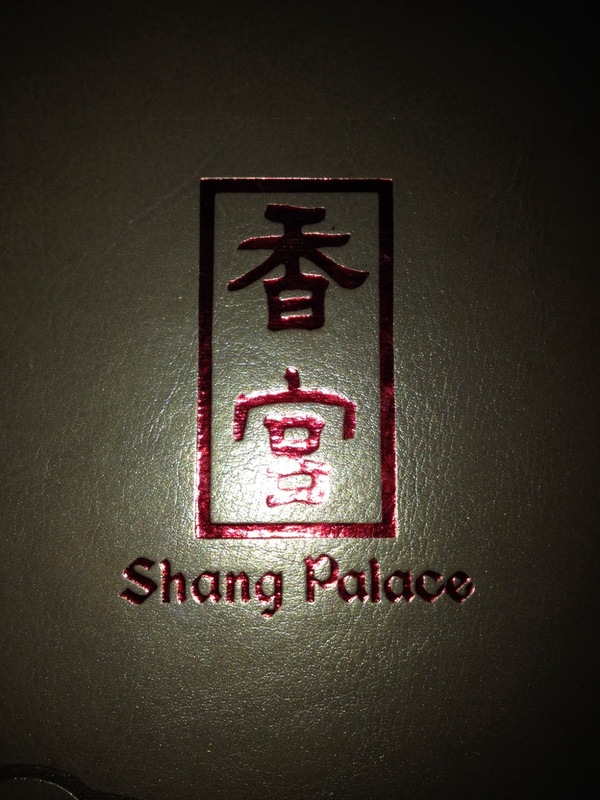 Shang Palace. 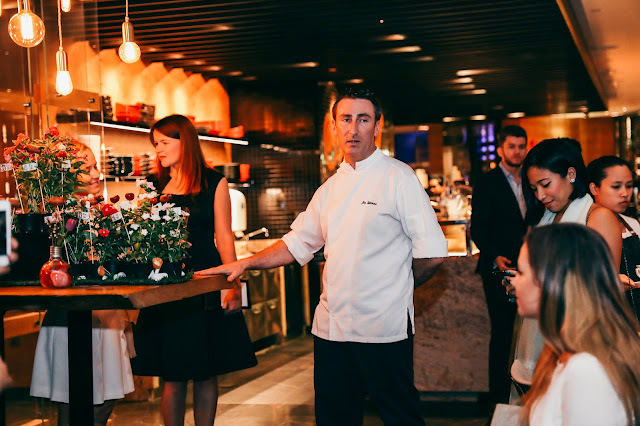 You need to try the dim sum first and then make your way up to the a la carte dinner. Add to this an ever-improving service, and you have yourself an evening of fine but relaxed dinning that is all about the food. Great food.